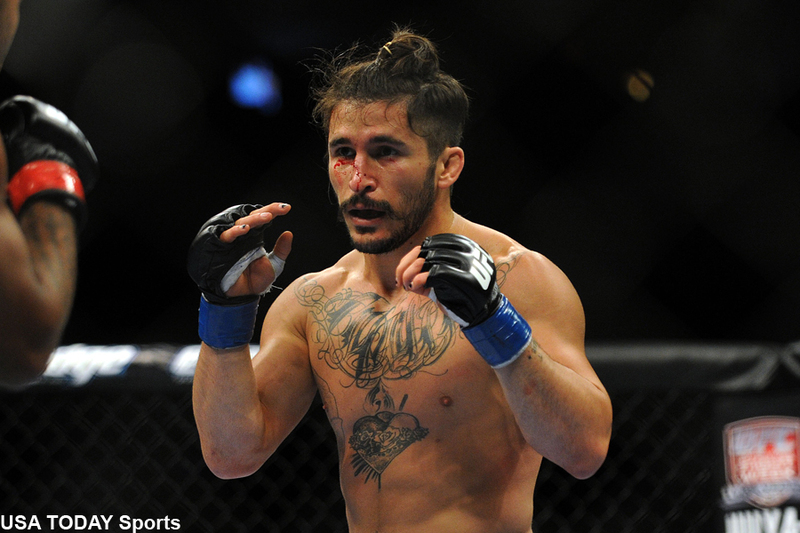 Less than 24 hours before Ian McCall (pictured) was to co-headline UFC Fight Night 56 against fellow flyweight John Lineker, McCall has been pulled from the event. If you must ask, the man with the best mustache in the UFC became ill shortly after Friday’s weigh-ins and couldn’t receive medical clearance to compete in Saturday’s show. UFC officials didn’t reveal anything more about McCall’s condition, nor if he and Lineker will receive their show money for making the trek all the way to Brazil. The welterweight affair between Dhiego Lima and Jorge de Oliveira has been bumped to the main card. Ginasio Municipal Tancredo Neves in Uberlandia hosts tonight’s festivities.